I don't remember where I first saw the notion of glitter playdough, but when I did I knew it would be a great party favor for Kalla's birthday party. Super simple to make! Cook and stir on med-low til forms. Careful not to burn. If coloring, mix food coloring in water first. When cooled down, knead dough and put in sealed container. To add glitter just use craft glitter and knead into dough. Keep adding glitter til it is as 'sparkly' as you desire. This recipe makes a ton. I got 7 individual containers out of less than half. My daughter is having a sleepover in a couple of weeks and I think this would be perfect!!! add koolaid packets for great smell! Do you know how long this will last? I love this! 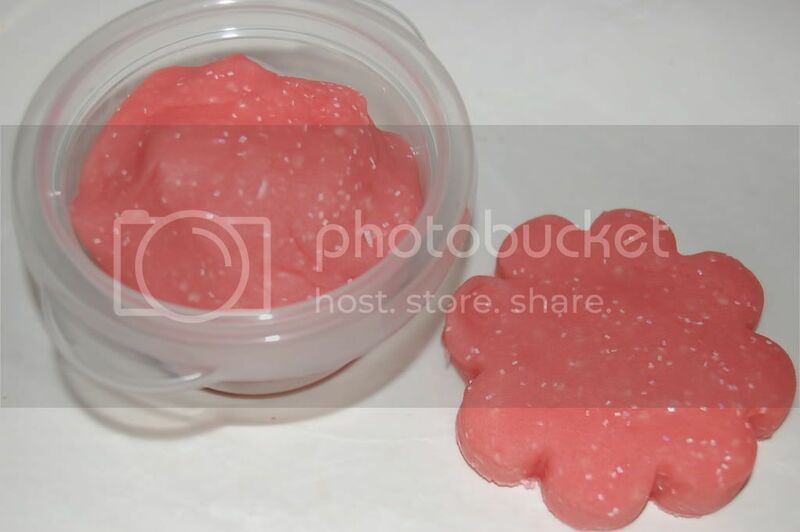 We make playdough but glittery? Way cooler! So going to make this! Thanks! Love this receipe. My daughter is nearly one year old, she is a little young for that, but I will take the receipe for later. I'll try it myself first maybe ! I always like new doughs and clays to work with. Thanks for sharing.